A tranquil setting utilizing Hawaiian healing traditions and innovative spa rituals, the Moana Lani Spa inspires the spirit with relaxing treatments and services. 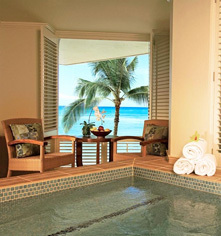 Moana Lani Spa offers peaceful and private men's and women's relaxation lounges with beautifully-designed lanais overlooking Waikiki beach, steam rooms, dry saunas, and water therapy areas, which include serene whirlpools that are placed in view of the calming sea. For the ultimate couple's renewal, Moana Lani Spa has two beautiful oceanfront suites, mele Ho'o‘ipo‘ipo and ‘apuakehau, that cater to those wishing to savor these exquisite moments as a pair. The private oceanfront suites, personalized with whirlpool tubs, private restrooms, and breathtaking views of Waikiki beach, allow couples to relax together. 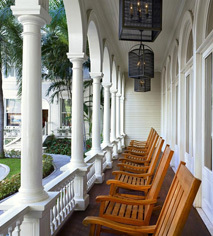 Situated in the heart of the resort, the Banyan Court beach area occupies a prime spot on Waikiki beach. Catamaran sails, canoe rides, surfing lessons, and various other beach activities are only steps away. For refreshments, the Beach Bar and the Snack Bar are adjacent to the pool deck. The resort offers a fitness center furnished with the WestinWORKOUT® state-of-the-art equipment and offers the perfect solution for people committed to maintaining personal wellness. 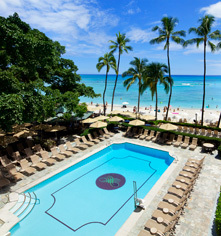 Located in a newly renovated, oceanfront suite at the Sheraton Waikiki, Poppins Keiki Hawaii is the perfect gathering place for kids from around the world and includes special programs, including water fun and field trips to the zoo. Poppins Keiki Hawaii is Waikiki’s only kids' room licensed by the state of Hawaii, and is backed by the experience of operating over 70 childcare facilities in Japan.